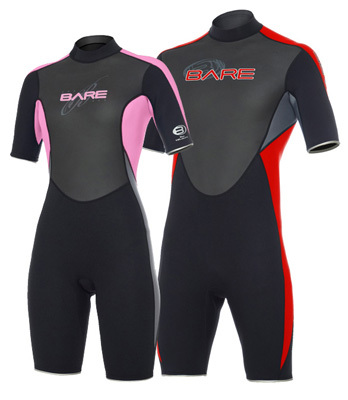 Wetsuits come in a variety of styles and thicknesses. Their main purpose is to keep you warm, so the thickness of the suit should be matched to the water temperature which you are diving in. A 7mm wetsuit or semi-dry wetsuit is ideal for diving locally, but if you are travelling down south thinner wetsuit would be necessary. Check out the websites below, as many of them suggest wetsuits based upon the water temperature you are diving in, or come chat with us at the shop and we can make some suggestions!